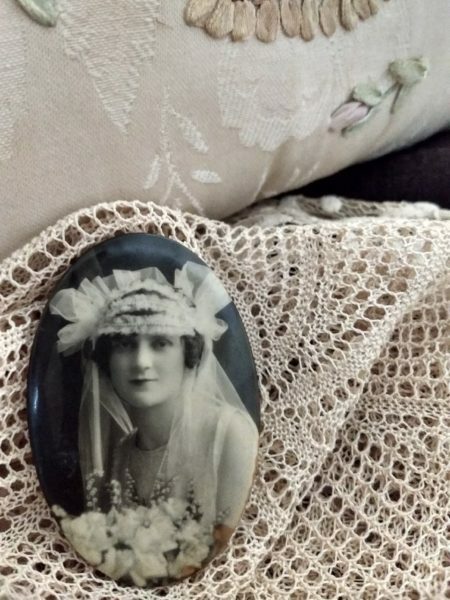 An antique celluloid photo pocket mirror with a lovely vintage 1920’s portrait of a bride. The lovely image features a young woman in wedding dress, tulle veil and bouquet of flowers. Size of the photo /mirror is 2-3/4″ long x 1-3/4″ wide.